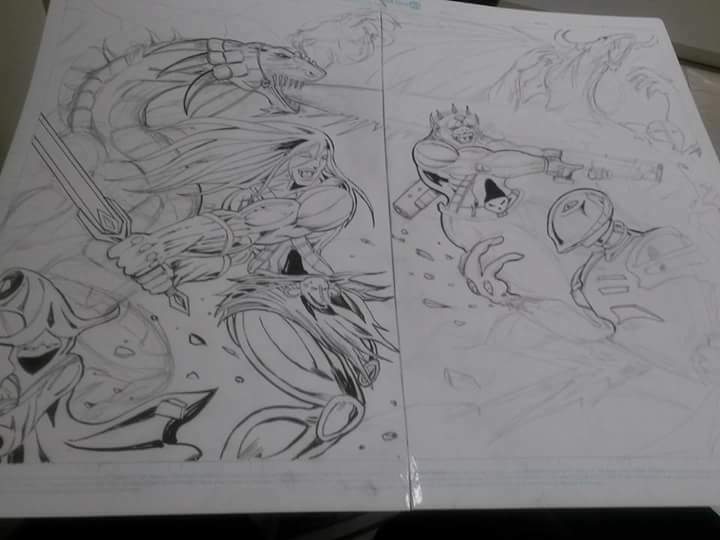 Creator and founder of Wicked Comics Carlos Farias is hard at work, as he is on the verge of bringing not only ClownMan, but DragonMasters to life. He recently shared a video of a two page splash for DragonMasters and it is wicked! Farias also posted a video of the process on his Facebook, which you can view by going to this link. In a universe far beyond lies a struggle between light and darkness. Slayers, those who use the evil of the dragon eye, and masters those who use the good side of the eye. A dragonslayer named “Draco” will lead an alliance to combat the Slayers in an ongoing battle to defend their kingdom. This is going to be a huge universe.